Firestarter's Blog: S.H. Figuarts Luigi, Diorama Set C Announced! S.H. Figuarts Luigi, Diorama Set C Announced! Bandai's special Tamashii page has just been updated, announcing the upcoming release of the S.H. Figuarts Luigi, just in time for the holidays! 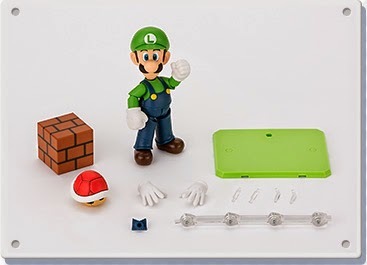 The company has revealed the inclusions of the set - additional block, a pair of extra hands, a Tamashii Stage and a red Koopa Shell. 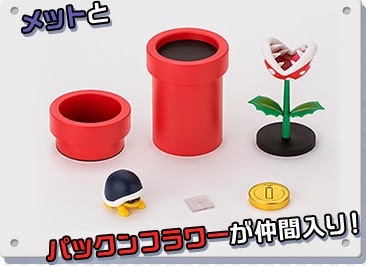 Next is the Diorama Set C, this includes red pipe parts, Red Plant, a Gold Coin and other minions. The site only states the release date which is December 2014 but retail prices of the sets have yet to be revealed.